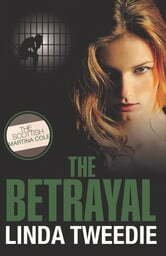 From the dark and mean streets of Glasgow to the glamorous and decadent resort of Marbella, The Betrayal sees the continuation of a family feud spanning decades. This is a gritty novel following the fortunes of bitter enemies, the Coyles and McClellands. The birth of Erin and Bobby's son sets in motion a chain of terrifying events, leaving Erin to rot in a Spanish jail with no support or assistance from her family and no knowledge of her son's whereabouts. Exacting revenge for the murder of his father, Bobby has laid claim to baby Ryan; however an unexpected twist of fate leaves the child in the clutches of his parents' worse nightmare. A tale of murder, drug smuggling and kidnap takes two families to the brink and only one can survive. The Betrayal is the sequel to The Silence. Good second part of this trilogy. The characters remain interesting because of the turbulence in their lives. Worth a read.